In some social settings, have you ever just wanted to blend into the walls and disappear? Maybe this will soon be possible thanks to new changeable camouflage technology being developed at the University of Illinois. As the BBC reports, a thin grid of 1-mm cells is controlled by a temperature-sensitive colored dye that is able to adapt to its environment. 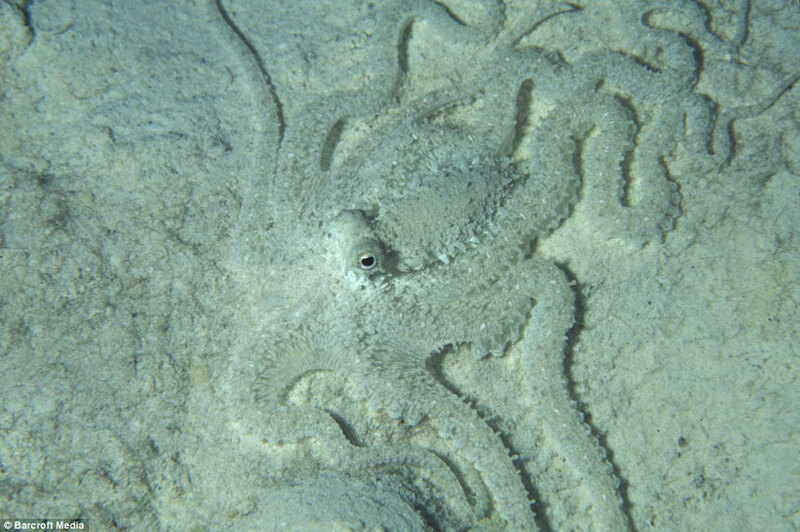 Derived from observations of creatures like octopi and cuttlefish, who are able to easily change colors to disguise themselves in the ocean to avoid predators and attract prey, the technology based itself in part on the idea of the animals' layered skin. In the grid, the bottom layer uses photosensors to reflect the desired pattern to actuators in the middle layer, which then control the colored pigment in the top level to change color at precisely 47 degrees Celsius. Similarly, an octopus would have these actuators embedded in its muscle flesh to control their color-changing outer skin. Though the work is being accomplished in America (led by senior author Professor John Roberts), the word of this project has jumped the pond and gathered attention. Professor Anne Neville, the Royal Academy of Engineering Chair in Emerging Technologies at the University of Leeds, called Professor Roberts' work "very innovative and very interesting," as well as noting it was operating at a "very high standard." The technology is not fully developed yet, and some hindrances still exist. The dye is currently only working in black and white, but will eventually take on other hues as the technology develops. Another issue is a power source for the camo, which is currently fueled externally, but could likely benefit from an element of solar cells. The project is based off of information gleaned from "a collaboration between experts in biology, materials, computing and electrical engineering," according to Professor Roberts, but has wide potential for architectural, military, and even fashion applications. One day, you could use the hues to make your shirt any color you wanted, or really stand out in a room by reflecting its most stark colors, like a real-life Paint eyedropper feature for fashion. Homeland Security has no idea who this guy is. Find a Best Gaming Monitor Under 300 here. Technology is the leader of the enterprising world. And it leads using a constitution. Unlike the traditional http://www.leadershub.org/business/a-note-on-the-us-rehabilitation-act-section-508/ structure, this constitution is Algorithms written by engineers, scientists, etc and not congressmen and politicians. Technology is the energy that drives our lives. It runs in the veins of society. Spend Management Software is related with innovation and creativity. It transforms ideas and thoughts into reality and into something that is helpful to society and human life. It has brought luxury and benefit to an average person's life. iPods, iPads, Blackberries, DVRs, Kindles and more - all fascinating forms of compliance. As the technology era continues to explode, there's something interesting that's exploding with it. Stress. Discover how to overcome stress from technology today. I found this article very helpful. Thanks for sharing.